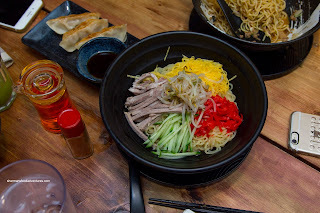 2 years ago, when I first visited Yah Yah Ya Ramen in Richmond, I came away satisfied. I went back shortly after and it I was once again happy with the results. The broth was more mild due to the combination of shoyu and tonkotsu broths (Yokohama-style) which meant it was less heavy and completely drinkable. Over the years of eating many types of Japanese ramen, it is beginning to be my preference. 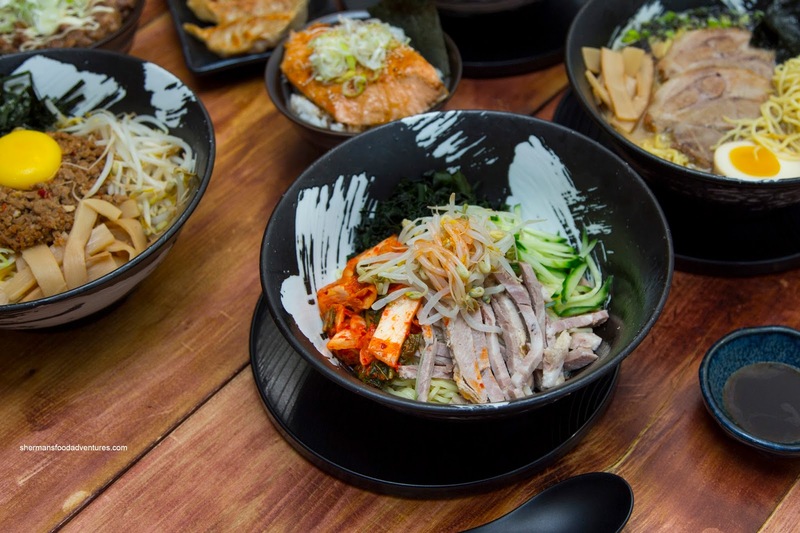 No offense to places like The Ramen Butcher, because taste in food is purely subjective, but overly fatty and rich broths are not my #1 choice. 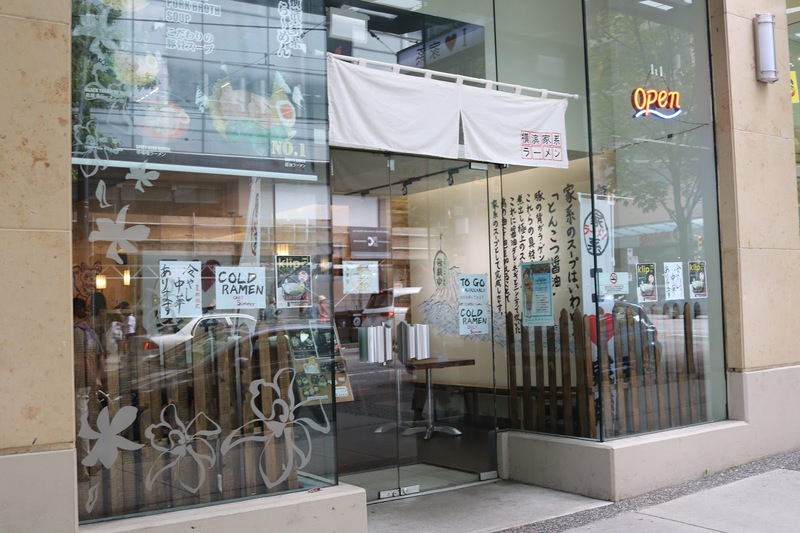 I was recently invited to reacquaint myself with Yah Yah Ya at their new location on Robson by Steph (picture credit Foodology). 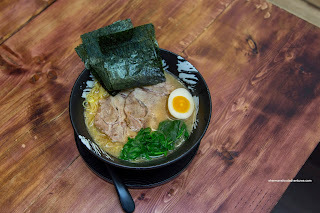 We were started off with their original Shoyu Ramen with chashu, spinach, nori and egg. As expected, the soup base was on the lighter side, yet not devoid of meatiness. It had a noted rich pork essence, just without the greasy heaviness. For me I enjoyed the drinkability of the soup although I personally could've used a bit more saltiness. 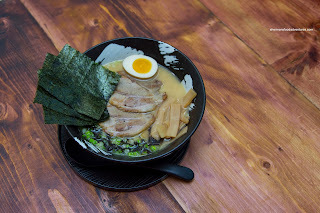 The chashu was thin, fatty and melted in my mouth while exhibiting an appealing porkiness. I found the egg to be nicely runny and mildly seasoned. As for the noodles, they were al dente and had a great mouth-feel. For many, they much preferred the Black Tonkotsu Ramen featuring black garlic oil. This in itself added an Earthy punch that was both subtle and impactful at the same time. Hence, the broth was also a bit more rich and flavourful. I liked this one due to this, but for some reason, I liked the original shoyu more for its simplicity. 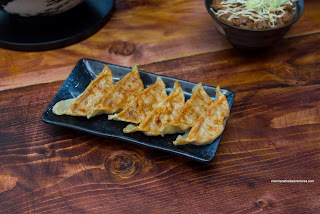 When the Gyoza hit the table, I was impressed with the uniform and attractive sear on the bottom of the dumplings. A few bites and it was indeed lightly crispy and nutty while the rest of the dumpling skin was tender with a bite. I found the filing to be juicy and moist while being mildly seasoned. I would've preferred a bit more meatiness though as the pork was almost too soft. It was served with a soy vinegar dip that was nicely balanced with an tasty tang. One could customize this with the chili oil found at each table. We moved onto a bowl of noodles devoid of broth in the Mazesoba. On top of chewy ramen noodles, we found a mixture of ground pork that was nicely spiced where the heat lingered beyond the last bite. The raw egg yolk on top added a silkiness to the mixture. There was also bean sprouts, nori, bamboo shoots and green onion. Since it was one of the hottest days of the year so far, it was nice to dig into some cold noodles in the Abura Soba. We had one each of the spicy and non-spicy. The spicy version featured a good amount of pungent kimchi which emanated a strong fermented odor. 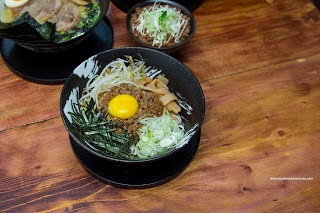 When mixed with the rest of the ingredients (chashu, bamboo shoots, bean sprouts and egg), it was flavourful, spicy and refreshing. As for the non-spicy version, it consisted nearly of the same ingredients minus the kimchi. Hence, it was much more mild and in fact, a little on the bland side. With that being said, one could adjust the flavour with the various condiments found at the table. With that being said, it was refreshing and still tasty with a noted sesame oil hit. I found the temperature (quite cold) to be perfect where the noodles were firm and chewy. 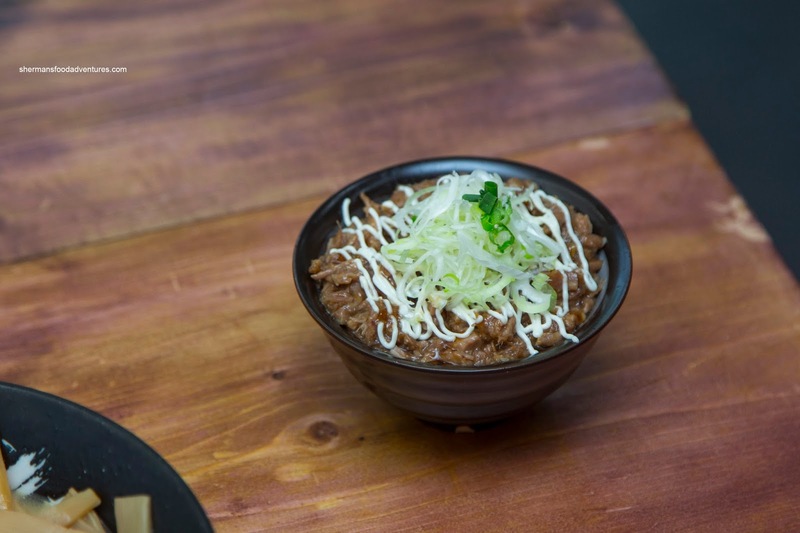 Last but not least, we also sampled 2 dons including the Negi Chashu Don. This was pretty loaded with tender shredded chasu that was aggressively seasoned. It was rather salty with a background sweetness. However, when mixed with the chewy rice, the flavours balanced off a bit. 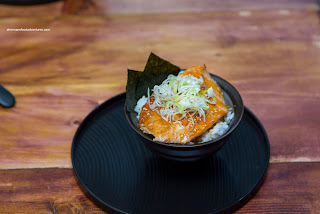 We also had the Salmon Don featuring a large filet atop the same chewy rice. I found the fish to be slightly too done for my tastes, but hardly dry. It was mildly seasoned with a balance of salty and sweet elements. Overall, I thought the ramen at Yah Yah Ya to be good in terms of key elements including broth, meat and noodles. For me, I prefer less heavy broths and this satisfied that criteria.